Golf-Short-Game-Tips. For a better short game, Practice. Can I break 90? Are there Golf-Short-Game-tips for that? How do I improve my , so I can shoot lower scores more often. I went over my golf-short-game-tips, although something doesn't feel quite right. You're half-way through the first nine holes and you maybe it's something you read about a few golf-tips in a magazine. Oh well second shot into the green,you're in the green-side bunker and it's really deep. Working on sand shots in the off season can be hard, especially when the golf range is closed for another month or two. How does one overcome this so you can hone your skills? The short game is pitching, chipping and sand play. If you have one club that does all three for you. Why not try some different, like not using your sand wedge and pitching wedge for most of your short game shots. creative with your clubs. Choking up on hybrid for a chip-shot so it can roll to the hole. If you reviewed your golf-tips it will be easy. Golf-Short-Game-tips. 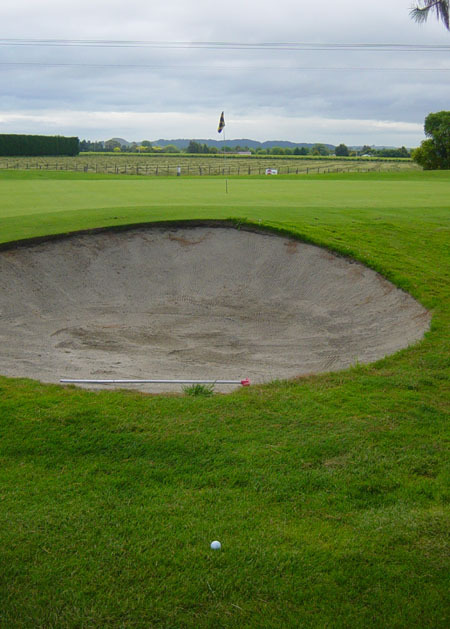 What you will be required to do for a Pitch shot,Chip shot and the Bunker, oh yeah and out of the rough? Using your short-game skills to lower your handicap is a great way to improve your game, without spending money on stuff you don't really need. Finding the time to work on your short game can the one reason for not doing it. Writing out a plan for improvement. When your on course and getting out of the bunker isn't a issue, although some of your shots are just a few yards short of the green. Looking at the people you golf with and you still have trouble with shots like this. Good in the sand, not so good out and close. Just short of the green and bunker to. Buying a new club every time you have trouble on the course instead of giving time and practice to improve short-game skills. It's like Sisyphus forever rolling a giant boulder up a mountain. Wouldn't a nice dinner taste better than a new club. This is after you had good round.